I have a sweet tooth, which has pushed me to become a lover of baking. Most people would just go to the store and purchase the object of their desire, but me? I prefer to create goodies in the comfort of my own home where I know the exact ingredients that are going into them, and I can eat all of the raw dough that my little heart desires. Plus, I think it's cheaper. My biggest pet peeve, however, is cookie trays that burn the bottom of my baked goods. No one wants a cookie that can double as a hockey puck. 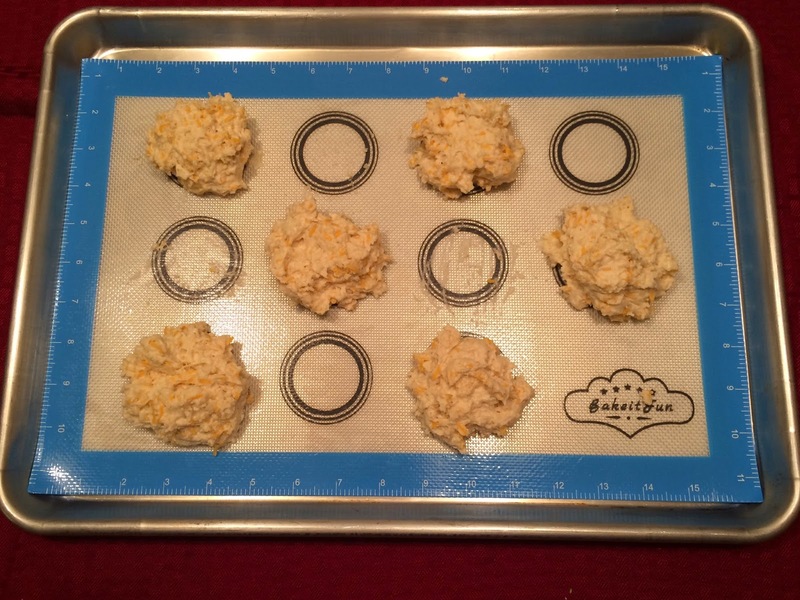 I recently received a Bake-It-Fun Silicone Baking Mat, and it has made my concern nonexistent. I no longer need to worry about burnt bottoms on anything I stick in the oven, and clean-up is a breeze too! Bake-It-Fun is a brand that focuses on customer satisfaction and high-quality baking mats to turn family time in the kitchen a place to create memories. Plus, their website blog has a TON of super-delicious-looking recipes (check it out HERE). Their mats are made with durability and longevity in mind. The mats themselves are made from a fiberglass mesh that is coated in food-grade silicone. They can be stored safely in temperatures that range from -40°F to 450°F, so you can use them from the freezer to refrigerator to the oven with ease. Plus, it remains safe and non-toxic being BPA free. This mat is suited for up to 2,000 uses! Imagine what you'll save on cooking spray! I am always looking for something delicious and new to make for my family to enjoy. 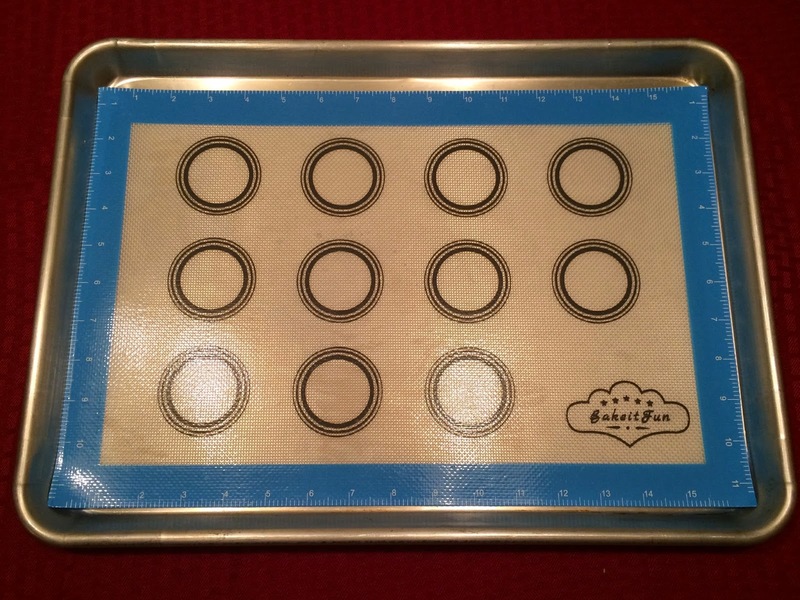 As you can see, the Bake-It-Fun Silicone Baking Mat is the perfect size for a cookie sheet (16.5'' x 11''), has measurement in the form of inches around the edges, and even provides pre-designated areas to place things like biscuits or cookies, although it can obviously be used to create a non-stick barrier for anything you choose to bake. What's even better is that when you are finished, it cleans up easily, and you can roll it up or leave it flat and store it somewhere where it will not take up a ton of space. Obviously I am a huge fan of everything that makes even the oldest and cruddiest of baking sheets brand new again. The fact that some of my old baking sheets are as black as night does not matter in the face of my Bake-It-Fun Silicone Baking Mat. I can bake anything evenly and golden brown all around. It saves me time too because I used to do a "test run" with my cookies, where I would only place a couple on the first batch tray to get the baking time just perfect, and to prep the pan so that it wouldn't burn the rest of the cookies. If you are a baker, you need this mat in your life. Plus, the company offers a unique variety of mats including a pastry mat with corresponding measurements, a toaster oven mat, a 2-pack of the original, a 3 pack with 2 original and 1 toaster oven sized. or the original half sheet sized in blue, green or raspberry red! You can see them all on their website which will then direct you to Amazon for purchase. The mat that I have is currently $11.97. As always, this is an Amazon price and is subject to change at any moment. It is however a truly reasonable price, especially considering it comes with a free digital cookbook and a lifetime guarantee!